Excellent in EMI/RFI static field shielding, these bags are water vapor proof and grease proof. Used as packaging of electrostatic/humidity sensitive parts, disk drives, flat pack etc. 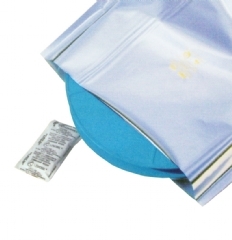 Heat sealable, moisture barrier bags are made from a multilayer metallized film. We suggest to place inside the barrier bags a moisture desiccant bag to eliminate the residual moisture, and HID cards.